Breakfast in the garden, in the shade of a characteristic chestnut gazebo, is the best way to start a day of sea and relaxation. 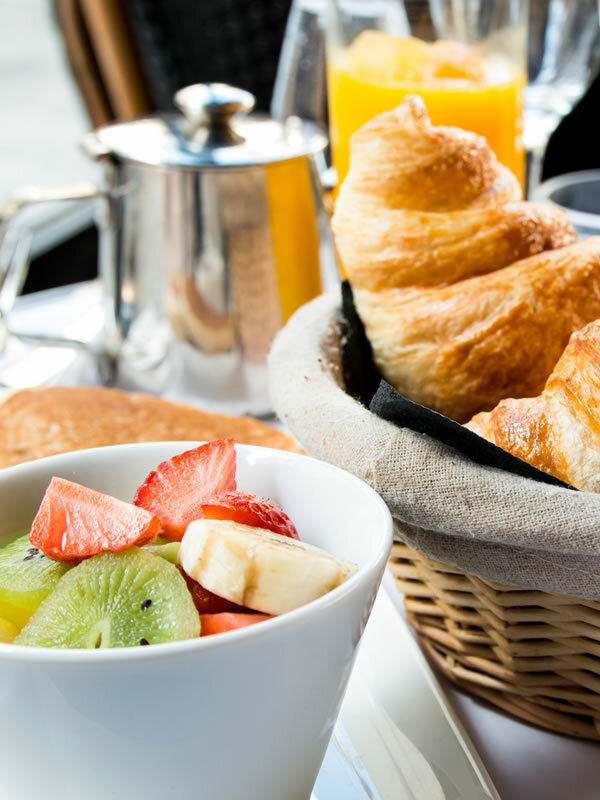 Hotel Raffael offers all its guests a varied, genuine and tasty breakfast buffet. 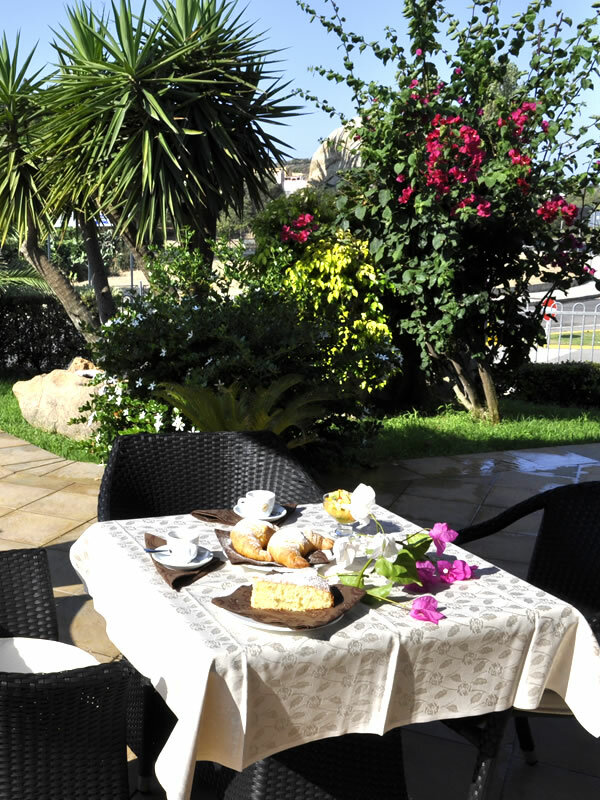 Also at your disposal is the colourful breakfast room with TV and table service. 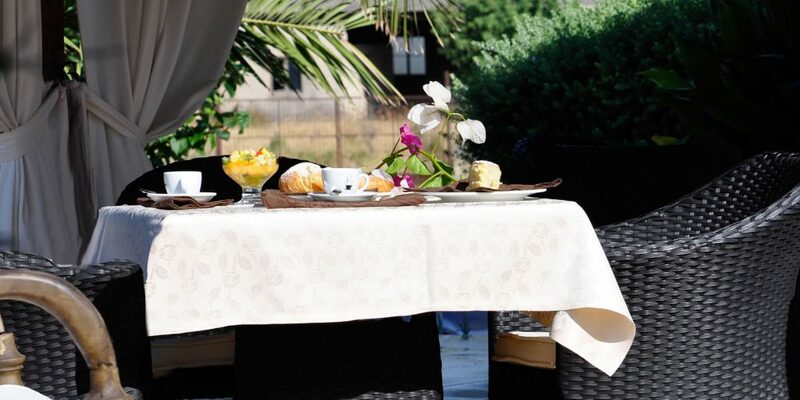 Hotel Raffael is breakfast in the garden, Hotel Raffael is hot and fragrant cornetti, Hotel Raffael is fresh fruit and great coffee… Hotel Raffael was the most beautiful awakening I’ve ever had. Reviewed by Franco and Maria on 18th August 2018. Starting the day in a healthy and tasty way with homemade cakes from the splendid Mr. Maria, the garden, the smell of the bread… this is what I really miss about my holiday in Sardinia. Reviewed by Giulio on 28th July 2018.